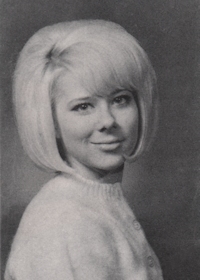 Obituary – Fredrickson, Sandra Kaye (Simpson) « Perry High School Alumni Association, Inc.
All School Revue ’63-’66, F.T.A. ’64-’65. 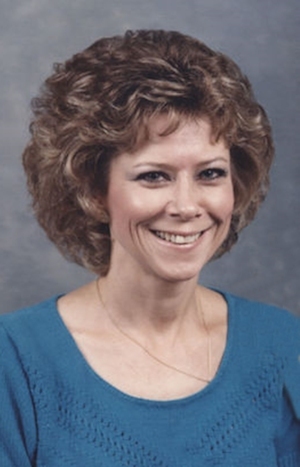 Memorial services for Sandra Kaye Fredrickson, 63, Pickett, are 10:00 a.m. Monday at St. Joseph Catholic Church, Father Rusty Hewes will officiate. Burial will be at Gracelawn Cemetery in Edmond. Mrs. Fredrickson died Thursday, January 27, 2011 at her home. She was born January 6, 1948 in Guthrie, Oklahoma to Ernest Simpson and Ida Nell Simpson. Ernest passed away in 1953 and Ida Nell married Jess Kirk, who adopted and raised Sandy as his own. She attended grade school in Perry, and graduated from Perry High School in 1966. She moved to Ada in 1980 from Paoli. She married Ty Fredrickson on May 25, 1990 in Durant, Oklahoma. Mrs. Fredrickson was the owner and operator of Cheyenne Boots and Hats in Ada until her retirement. She was of the Catholic faith. Survivors include her husband, Ty Fredrickson, of the home; one son, Jason Minyen Pickett; three grandsons, Christian Minyen Colton, Minyen and Chance Minyen; four brothers, Floyd Kirk and wife Mary Lou, Dover, OK, Lloyd Kirk and wife Melissa, Edmond, Mark Kirk and wife Terri, Edmond; and Mike Kirk and wife Debbie, Edmond; numerous cousins, nieces, nephews, grandnieces and grandnephews; her father-in-law and mother-in-law, Fred and Colleen Fredrickson, her sisters-in-law, Jan Boyd and husband Brandon, Becky Crabtree and husband Frank, Julie Welch and husband Clint, Jackie Wofford; and Teresa Anthony and husband Tim; two uncles, Joe Oldham and Joe Sims; and an aunt, Iris Oldham.